A great office space is even better when it’s a convenient commute from home. That’s why we strategically chose our Weston, Florida location. Even if you’re not a local, you can get here in minutes via I-595, I-75 and The Sawgrass Expressway. That makes it easy on you and on your clients and associates who come to visit. IDEAS HAPPEN AT 3AM, SUCCESS DOESN'T KEEP STANDARD HOURS. DO YOU? 24/7/365 ACCESS! PAJAMAS ARE PROPER BUSINESS ATTIRE WHEN THE WORLD SLEEPS AND YOU STRIVE. We all have missions. Ours is creating office space for yours. One Size Does Not Fit All. BUT ONE BUSINESS ADDRESS ... YES! Your business is a dynamic enterprise. It can grow, build, change shape, and point in new directions in the blink of an eye. At Lakeside Executive Suites, this is how we approach office space. We don’t build boxes. We create workspaces that are as future-minded as the entrepreneurs who occupy them and that deliver the flexibility and technology required to operate on the cusp of tomorrow. Whether it’s a full-time office space, or just a meeting room for the day, we offer a range of options and services designed to help you conduct business your way. As the end of 2018 draws closer, our thoughts naturally turn to the holidays and giving. For businesses of any size, charitable giving has long been a way to end the year right. It’s a great way to ease the tax burden, but best of all, it’s a way to get involved with causes that mean something to you and to make a difference in lives of those less fortunate. 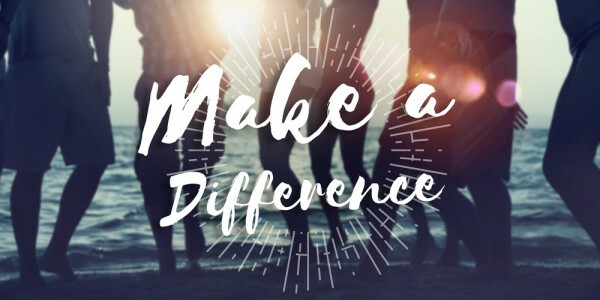 At Lakeside Executive Suites in Weston, FL, we have chosen a cause that is very dear to our hearts. Children’s Harbor is a community organization dedicated to helping children in foster care, siblings, and teen mothers a place to belong and call home during some of the most trying times of their young lives. They provide residential services and more, offering counseling, mentoring, and a way for siblings in care to stay together while issues such as abuse or neglect are being addressed. They also offer residential maternity support for pregnant foster teens between the ages of 14 and 18 years, helping to break the cycle of abuse by helping them complete their education while addressing medical, psychological, and mental health issues that may impede their progress to independent living. Of course, there is so much more that Children’s Harbor does, but the point is that they are providing essential supports for vulnerable children as well as the people who need it most. During the holidays, it is especially important to ensure that the children in their care have the ability to delight in the season and smile with the joy it brings. This is something we feel should be their right and we are proud to count ourselves as part of the solution. If you are a new business, you may not have thought a great deal about charitable giving and what it means to you. Just as Children’s Harbor has meaning to us, you can find a cause that pulls at your heartstrings. Heart and Stroke, cancer research, a local hospice, church group, humane society, homeless shelter, or mission are all great organizations you can consider. Even if you don’t have a lot to give in the way of cash, you could find ways to help that are hugely supportive that don’t necessarily involve money. Help out by donating your time or business services to a local charity. Saving them money is just as valuable as giving it. Don’t get taken in by a scammer this holiday season. There are plenty of disreputable people out there ready to relieve you of your cash for a cause that is either shady or non-existent. Check national non-profit databases like Give.org or Charity Navigator to be sure your donations are not falling into the wrong hands. Do you have a favorite charity? We’d love to hear about it! Drop by Lakeside Executive Suites in Weston anytime and find out more about how we can help. What’s the difference between a dedicated desk and coworking? © 2019 - Lakeside Executive Suites. All rights reserved.